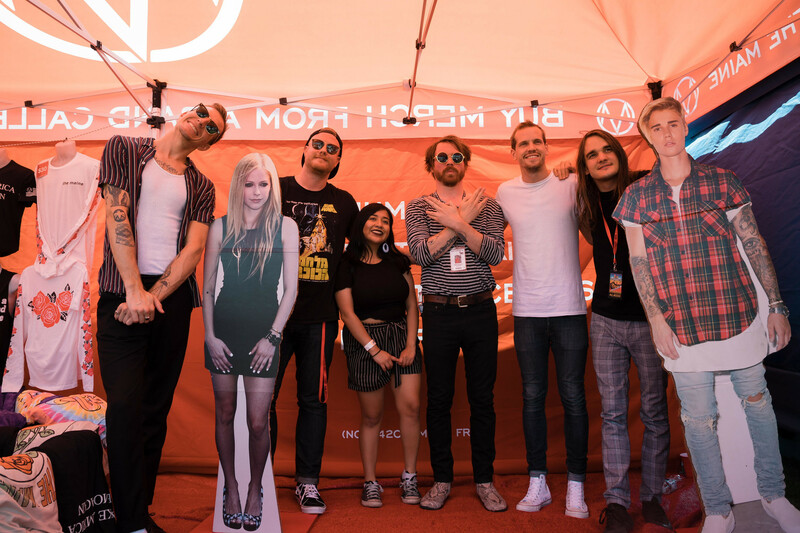 We spend 24 hours out on warped tour with The Maine. 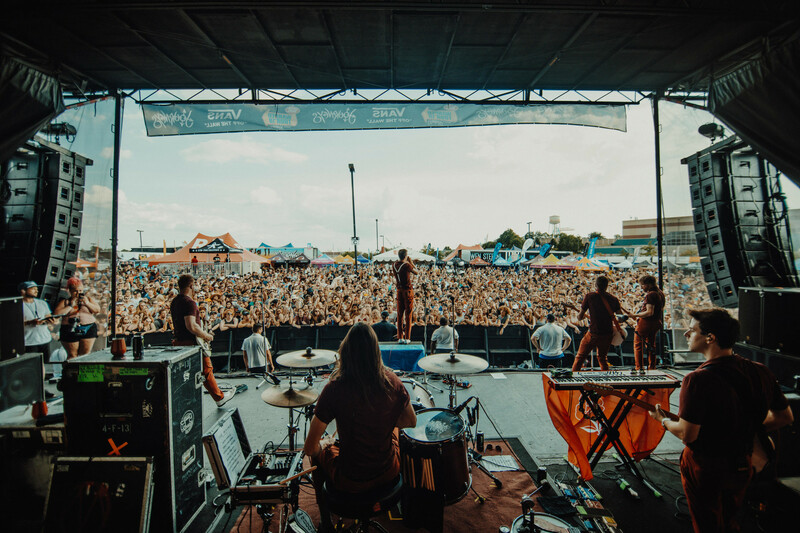 The last ever Warped Tour is currently underway, and currently on the home-stretch. 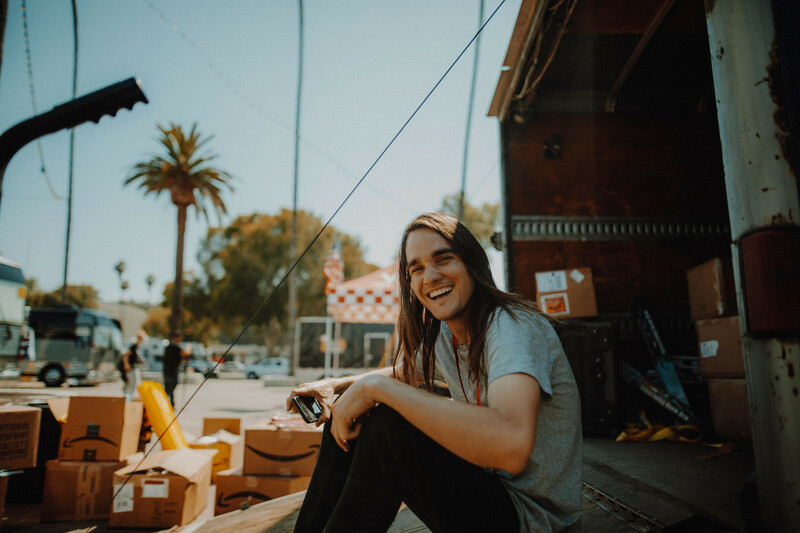 We checked in with our mates in The Maine and had drummer Pat Kirch talk us through what a standard day on Warped looks like. Over to Pat! Hello! 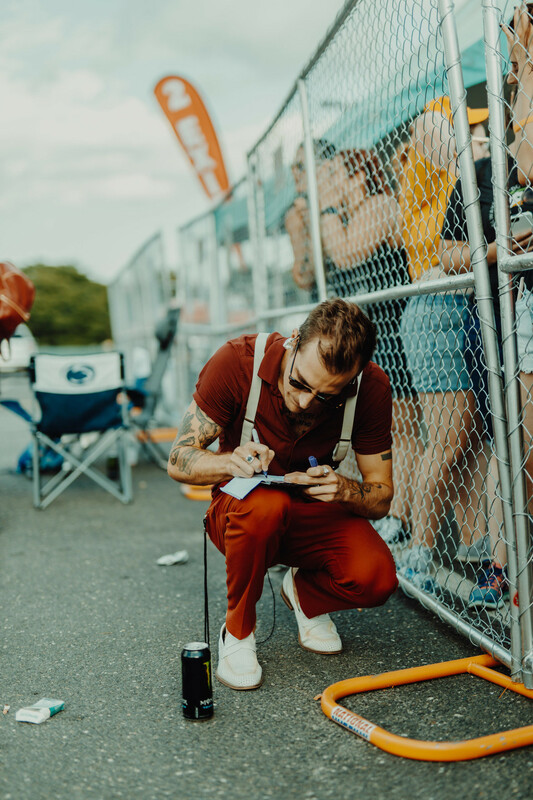 It’s Pat from The Maine and we are currently on the final Warped tour. There never will be another tour like this one. 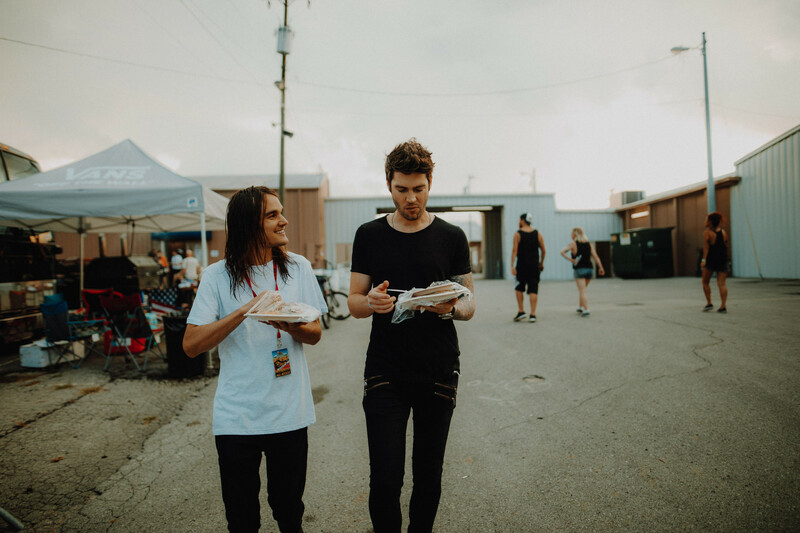 We try to make the most of each day and not just go through the motions of playing a show and hanging out with friends. We get to see and meet the people that make this all possible each day. 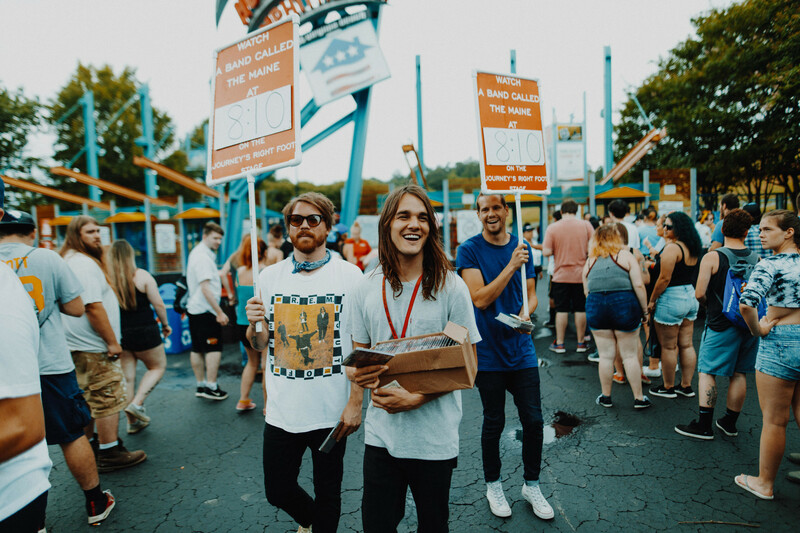 The fans that come to Warped Tour eventually become part of the 8123 family. Around 8am each day I wake up and help our merch guys set up the tent and get set for the day! Then I head over to catering to grab breakfast quick. 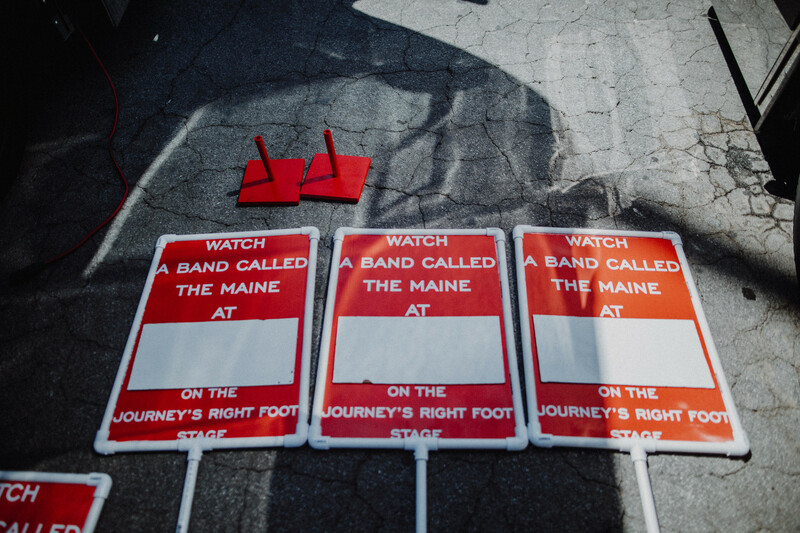 Then it is back to the bus to get the signs ready that we use to tell people what time we play and get CDs that we sell to the line of people coming into the show. We usually spend from 9:30am until noon out walking the line, telling people when we play, taking photos, and just hanging out with everyone. Right when gates open John heads over to the merch tent and hangs out with the first people to come by the tent! Then it is lunch time! You spend at least 45 minutes waiting in line to eat. 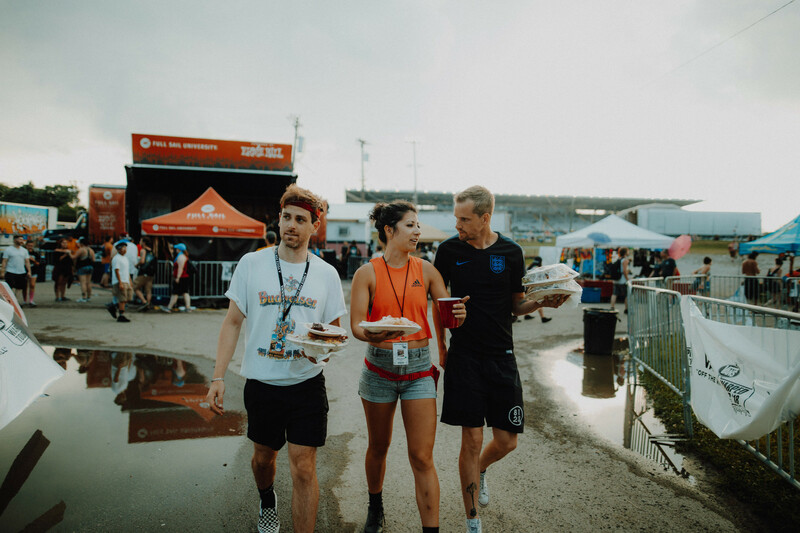 We try to grab food for our merch guys as much as possible so they can get a little break from sitting out in the heat. Then it’s meet and greet time! 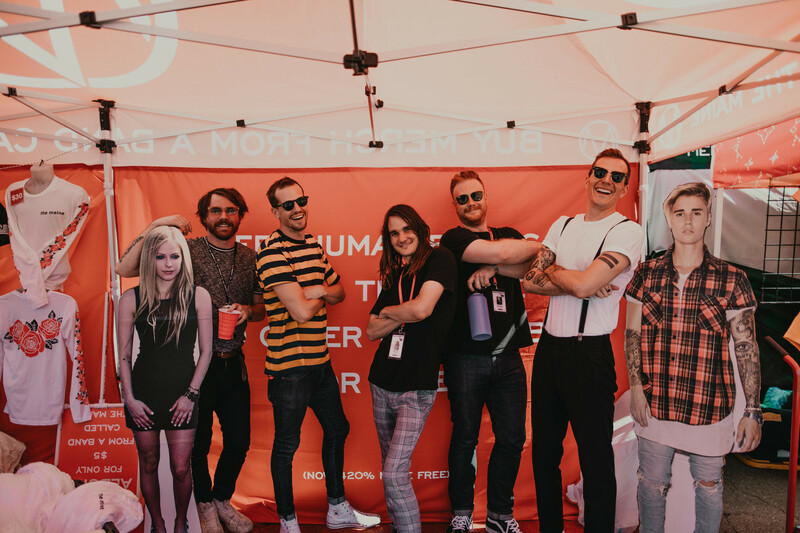 We hang out and take photos with as many people as possible before we have to start getting ready for the show. The show is what we are waiting for all day and it goes by before you know it. The sets on Warped tour are 30 minutes long. You try and give all the energy you would in an hour and a half show in a third of the time!!! At the end of the evening as the last bands are finishing I head to the merch tent to help the guys pack up after a long day in the sun! Then it’s time to shower, hang out with friends, then go to bed and do it all over again!!! 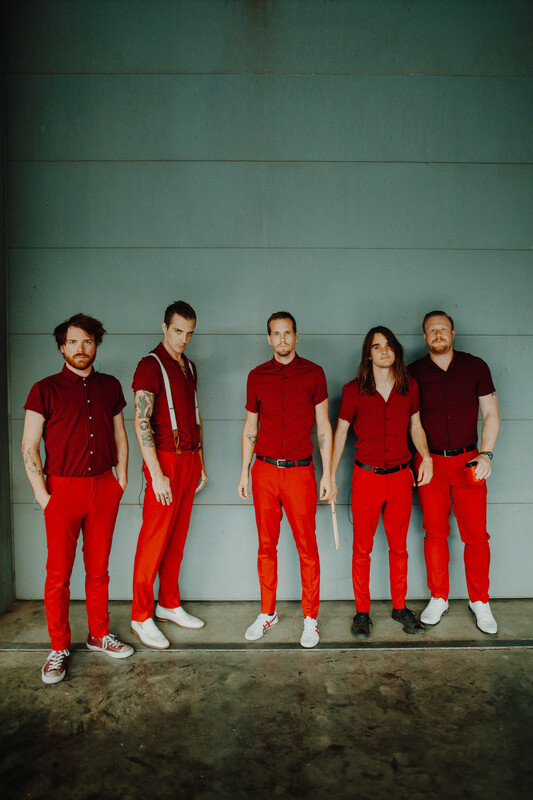 You can catch The Maine all summer long on Warped Tour (or what's left of it). 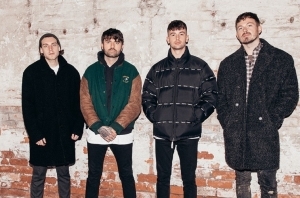 You can also catch them in January at their own curated music festival 8123 Fest, where they'll be playing their debut album 'Can't Stop Won't Stop' in full. Get all the info on that here.